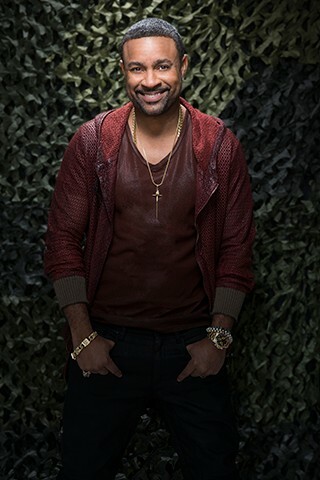 Multi Grammy award winning artist Shaggy is by all accounts the true definition of a renaissance man, besides his continuing success in reggae/dancehall music and its influence on pop music worldwide, Shaggy is fierce businessman, and humble philanthropist. Since exploding on the music scene, Shaggy's several gold and multi-platinum selling albums have won him a Grammy Award in 1996 for Best Reggae Album, 5 Grammy nominations, and topped an impressive chart list that included the Top 40 Rhythmic charts, Hot 100, Billboard 200, among others. In 2012 Shaggy launched a new label, Ranch Entertainment, Inc. The premiere reggae fusion label, headquartered in New York and Jamaica, was formed with the premise to develop and facilitate innovative approaches for up and coming artists to excel in the current market and provide established artists with opportunities outside their usual channels. 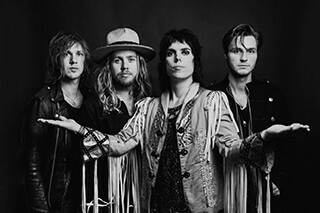 The label was received to much fanfare which translated in a Sony/Brooklyn Knights/Ranch Entertainment deal. The unprecedented union still allowed Shaggy to have creative say in the production of his music, yet have a powerhouse supporting his music and brand. Shaggy illustrious career has seen the international superstar perform alongside some of the biggest names in all genres of music, notably he recently collaborated with his longtime friend and producer Costi, as Shaggy joined Afro Pop artist Mohombi and Australian singer Faydee on the recently released vibrant and catchy single, "I Need Your Love.” The success of the single was eminent, and Shaggy traveled to Spain’s Castellon Coast to film the blockbuster video, capturing the international flavor of the song. To date the video has garnered over 30 million views. His accolades are too many to count, but distinctly his appearance on the long running late night talk show “Tonight Show” for a "Shaggy Off" tops the list of Shaggy’s career highlights. Through it all, the charismatic star has remained humble, taking his career in strides. He has defied the odds, succeeded on his own terms and continues to break down barriers for those who dare to follow in his footsteps. 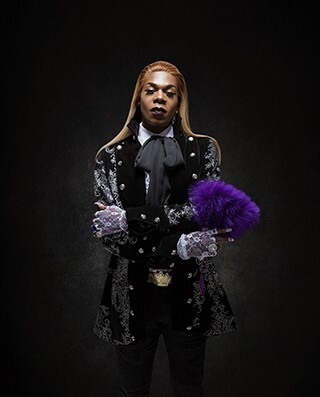 Big Freedia, known as the Queen of Bounce, is a New Orleans-based rapper and ambassador of Bounce music. After dominating the New Orleans club scene for over a decade, Big Freedia is now bringing the Bounce movement to a world-wide stage with her hit reality show, Big Freedia Bounces Back on Fuse TV. Coastal vibes with a city attitude. That’s probably the best way to describe the essence of COASTCITY. 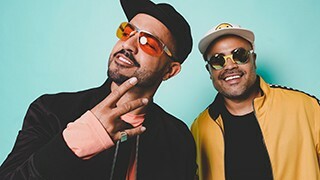 The Grammy nominated artist-production duo is comprised of Jean Rodríguez and Danny Flores, two talented and multi-faceted musicians who created an avant-garde bilingual musical project known as COASTCITY. While working together on Jean’s third studio album, Rodríguez and Flores realized what they were creating was simply magic. It was then they decided to put Jean’s album on hold and embark on a joint musical venture establishing themselves as a production-artist duo. Creating their own musical lane, both lyrically and through a fresh and innovative sound, they created a new genre and coined the term “soul caribeño” (Caribbean soul) to describe their music. Originally from the Westside of Chicago, Prada Gino dropped out of college to pursue a career in music in Los Angeles, CA. After a few months, Prada Gino was hired to work for Warner Chapel writing music. Prada Gino released his debut album “Ego Trip” and then shortly after left Warner Chapel. He had a few good hits on the album and also was featured in The Source magazine. More recently, he has been traveling around the country gaining inspiration from all kinds of different sources to present to the fans a new EP "Catch A Vibe". 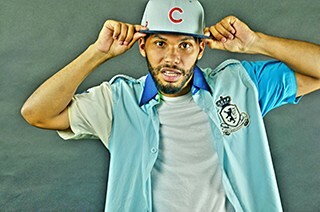 As a breakthrough versatile hip-hop artist, Prada Gino aims to be the face of a new generation of Hip-Hop! One of the most prolific Drummers of this Generation deftly playing any genre of music; David "Jody" Hill possesses infinite talent that maintains his status in today’s music industry. His Deep Fried Funk Band delivers incredible stage presence with every performance, their musical genre consists of Hip Hop, Neo-Soul, Jazz, Funk, Disco, R&B, Pop, Reggae, Latin, Rock, Gospel and Country. 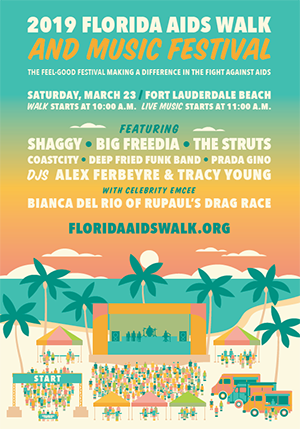 Miami/Fort Lauderdale Based, Chart topping, award winning DJ/Producer/remixer Alex Ferbeyre returns for his 6th year as Official Florida AIDS Walk& Music Festival DJ/Opening Act. Over a 20+ year career; and with an uncanny ability to play to virtually any crowd and environment, his performances are a one of a kind experience feeding off the interaction of his audience at hand. Honing his skills at massive music festivals, chic intimate affairs and everything in between with equal vigor, he’s known for his signature Cross-genre-multi-generational sets fusing all styles House, vocal anthems and more. it’s no wonder why thousands of fans flock to his shows at coveted festivals all over. For more information, please visit www.alexferbeyre.com/music. Tracy Young has become a global electronic music celebrity as her demand continues to grow to an international level. As both DJ and Producer, Tracy Young has completed 7 musical compilations on her own label, FEROSH Records. She has remixed for over 100 musical artists and has racked up over 50 #1 Billboard Club Hits including 13 Official Madonna Remixes as well as imaginative EDM reinventions of today’s music. Tracy is scheduled to release new, original music in 2019. 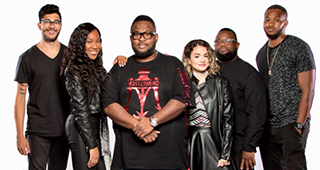 When Tracy Young is not touring or producing in the studio, you can find her on-air at 93.9 MIA with iHeart Radio presenting “The Saturday Night Social” from 10pm – 12am with co-host Joey Brooks. For more information on Tracy please visit www.tracyyoung.com or www.ferosh.com. Bianca Del Rio, a self-proclaimed "clown in a gown", was the season six winner of the hit TV series RuPaul’s Drag Race. In December 2014, she received the Best New Television Personality award from NewNowNext and made Variety magazine's list of Top 10 Comics to watch for 2015. The New York Times called Del Rio the "Joan Rivers of the Drag World", and Joan Rivers herself referred to Bianca as "So Funny! So Sharp!". Since winning RuPaul's Drag Race, Bianca has completed three solo stand-up tours to sold out audiences around the world, starred in two full featured films ("Hurricane Bianca" and "Hurricane Bianca 2: From Russia with Hate") which are now available on Netflix, and wrote her first book "Blame It on Bianca Del Rio". This drag superstar's light isn't dimming anytime soon as she's now preparing for her fourth solo stand-up tour which begins in Australia in February 2019 and will hit 6 continents and 19 countries.